After creating one or more job agents, you can always edit or delete them. Perhaps, you want to add a location to a job agent or you've simply found an internship and therefore want to delete a job agent. 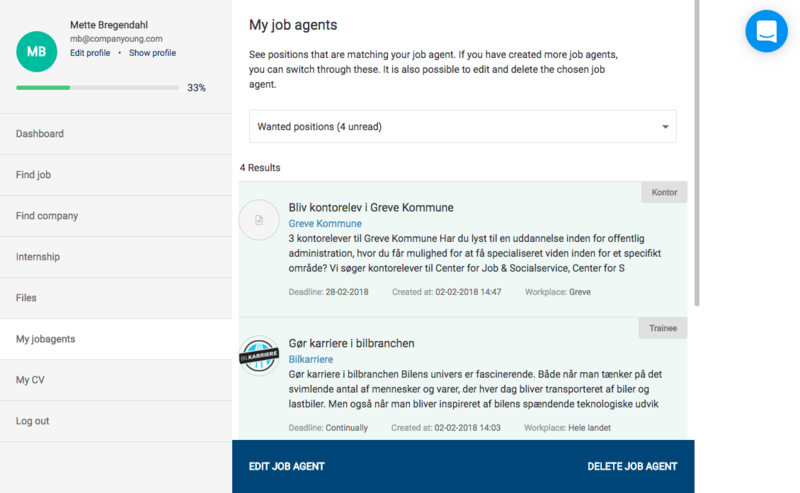 Go to the tab 'My job agents' and select the job agent you would like to edit or delete. A bar appears at the bottom of the screen where you can choose your action. 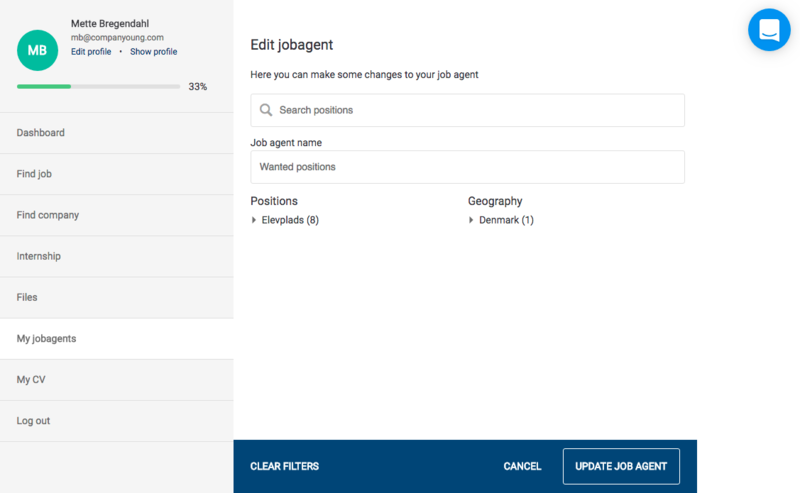 If you choose to edit the job agent, you are shown your selected criteria and you can adjust these by adding or removing a location, for instance. When you're satisfied with the changes, remember to update your job agent in order to save the changes. 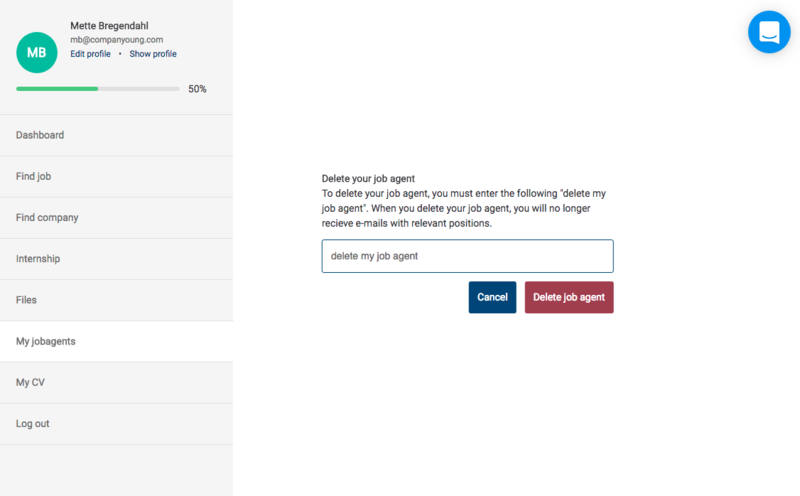 If you want to delete a job agent, you're asked to enter 'delete my job agent' to confirm the action.